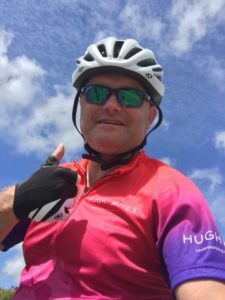 We are very proud that one of our team members Pete is partaking in a charity bike ride from Aberystwyth and ending up in Cardiff 160 miles and a few hills later! The Charity is Princes Gate Trust, a true champion of disadvantaged children and their families. Here is Pete at the end of day 1.